Thread: Old Style Browning Auto 5 misfiring. 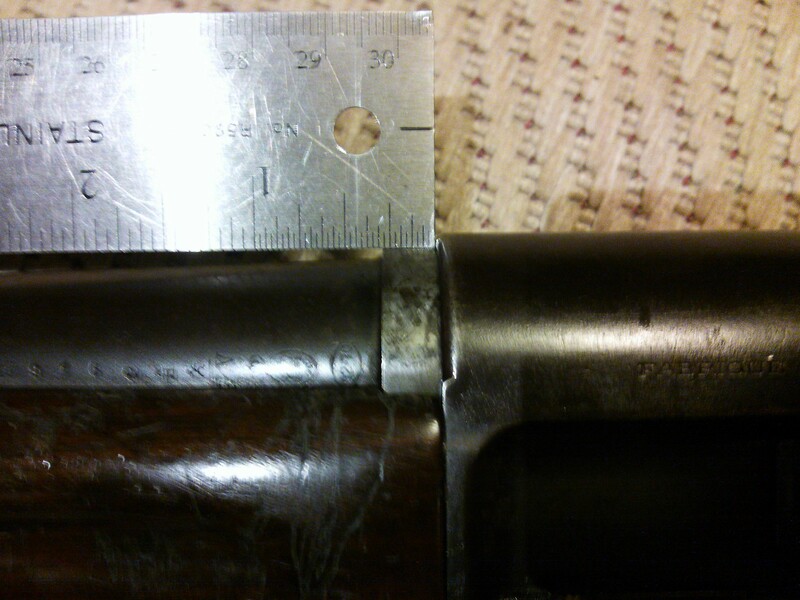 As you all know I recently acquired a Browning Auto 5 that the original owner claimed had a broken firing pin. I attempted a test firing last night and *Click* but a really sharp click like the hammer bottomed out on something. So i figured he was right and the firing pin was broken. 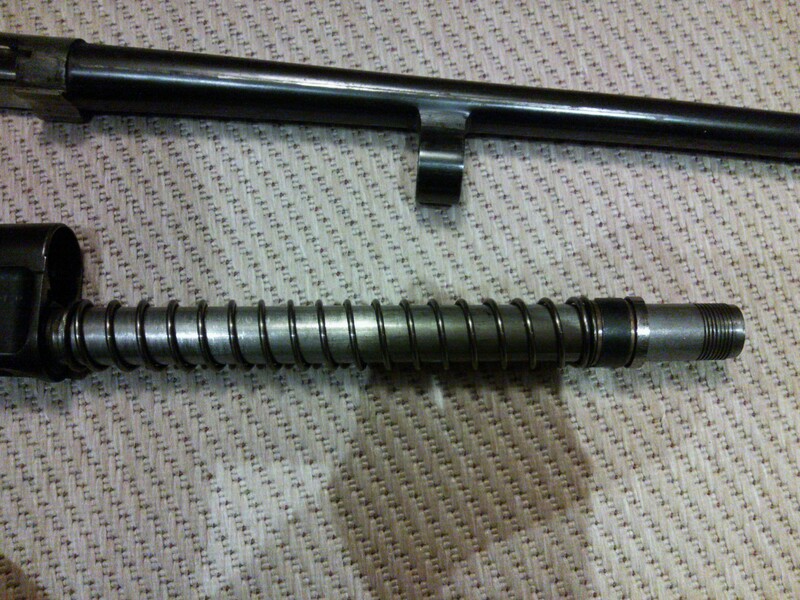 So today i disassembled it and looked inside the hole in the bolt face where the firing pin is and it is in there. So i put my finger over the firing pin hole and pulled the trigger. Nope firing pin is good. My finger got hole punched like the thing that my grandmother use to check her blood sugar with. So I flushed the action out with a good amount of Remington action cleaner and re lubricated with a good amount of aerosol REM oil. Thinking it might have just been crud. So i cut a shell, dumped the shot, wad and powder, Put it in to try and pop the primer and *click* again. Then i notice it looks like the barrel is not back far enough into the receiver. This is the first Auto 5 i have handled. But i have looked at a huge number of pictures. And now rolling through these pictures. It appears my barrel is out way further then a normal Auto 5. So the misfire is likely due to the hammer bottoming out on something before it hits the back of the bolt because the bolt is too far forward when locking up to the barrel. What could be going on? Is it the wrong fore end? Am i missing a spacer? Magazine tube not screwed in far enough? Here are some pics of what i have. For the best of my ability the gun looks to be a 1952 production. So before the heavy and light models. please help. I think i figured it out. 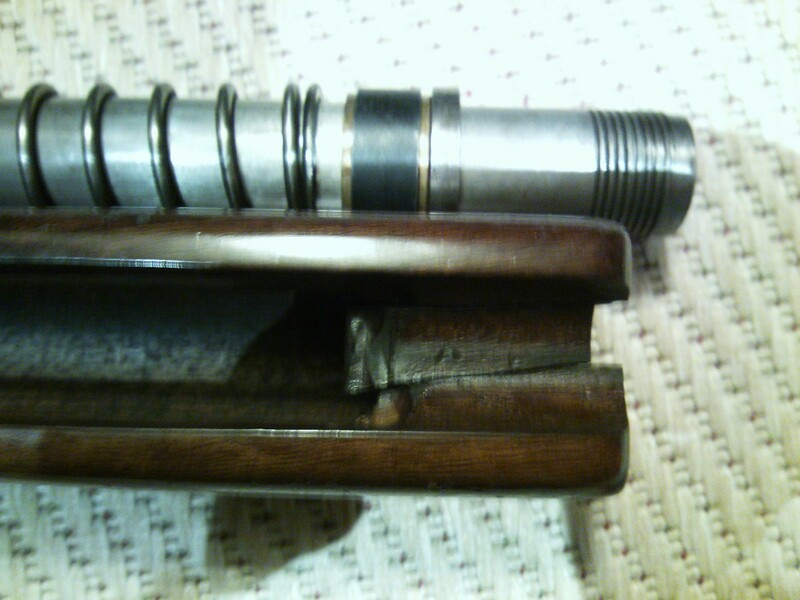 The fore end is pounded and worn where the barrel reciprocates and the barrel ring is making contact with the wood, and as a result it has pounded it in a quarter inch. Last edited by rci2950; 06-07-2016 at 10:31 AM. try it with the forend off. Yeah that forend is broken. Repair or replace. RCI, did you get it fixed? It has taken a back burner for now. I am coming up empty handed with the new forend. I was thinking of picking up a piece of PVC pipe of the correct diameter and epoxy it in the existing forend to repair the beat out part that's causing the issue. After Christmas is over and I have more spending money I will probably pick up a synthetic stock set. I seen a few online for around $70.